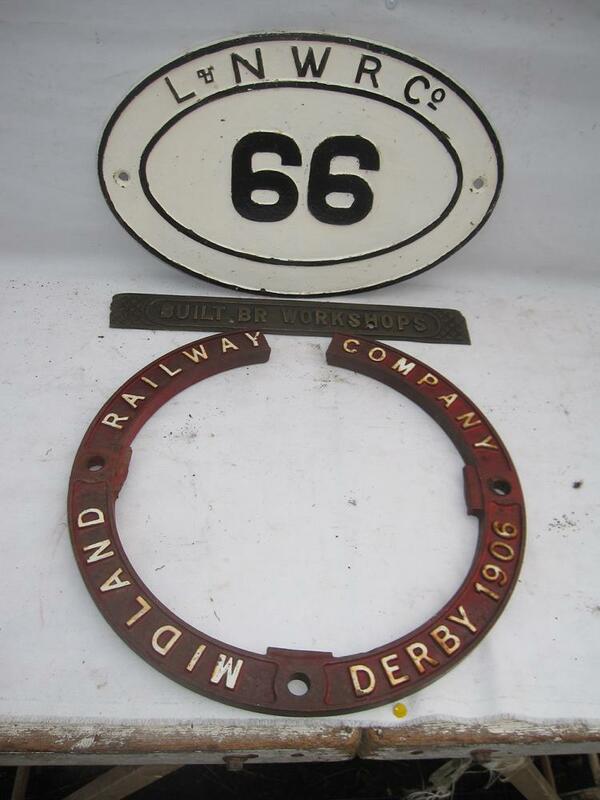 LNWR Cast Iron Bridge Plate 66. Circular MR Co Machinery Plate 1906. Built BR Workshops Plate. 3 Items.